Ghosting is a sudden withdrawal from all communication without explanation after the initial interest in a person, job or business deal. GHOSTING is the practice of suddenly going silent after initially having shown interest in a person, a job, a business deal or such. While recruitment professionals the world over are lamenting this habit as a new phenomenon, it has a long tradition in Malaysia. We have all been there before. We met somebody at a party last night. Good looking, witty, flirty and available, same as us. It seemed promising. So much so, that we exchanged phone numbers. A little bit of clear-headed contemplation the next morning reveals that, no; it wasn’t prince charming after all. But hey, nothing happened, right? So far, so good. Except that this prince, who now looks more and more like a frog, is calling. Repeatedly. We mute the call, we block the number, the frog is being ghosted. And, we feel guilty and annoyed in equal measures. Sounds familiar? This scenario has age-old tradition in the dating circus. Online dating has even elevated this type of behaviour to an art form — or so I’m told. In the realm of professional job recruitment, however, this seems to be a new occurrence. Once upon a time, companies and recruitment agencies were known to ignore job applicants, drop candidates without explanation or fire staff with little to no consideration for their professional or private situations. Appalling termination practices have been aptly portrayed in the 2009 movie Up in the Air, featuring George Clooney in the role of corporate downsizing expert Ryan Bingham. However, with unemployment rates at an all time low of 4.4 per cent in the United States and 3.4 per cent in Malaysia as of Jan 1 according to the CIA World Factbook, the tightening job market and a sustained labour shortage is now working in favour of employees. And they, in turn, show little qualm turning the tables on their former tormentors. The practice of simply not answering or returning a call, not showing up for a meeting, an interview or even for work is troubling. It is disturbing and naive. Naive, because history shows that a pendulum inevitably swings around at one point. Ghosting applicants and employees will be remembered and blacklisted when tides turn back to favour employers. This is only half the issue, however. Amanda Bradford, chief executive officer and founder of dating app The League says that, among younger generations, ghosting has “almost become a new vocabulary” in which “no response is a response”. 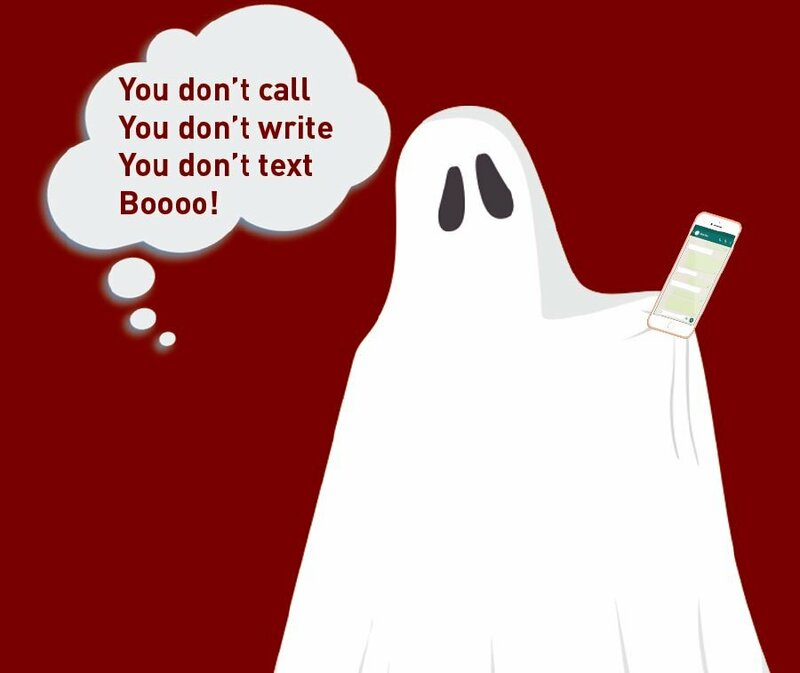 But, let’s be honest, ghosting is simply rude. Whether we talk about dating, employment in general or a worker’s appointment to fix a home appliance, not showing up is irresponsible and offensive. It shows that your time is more valuable than mine. Thus, the now all-powerful workforce would be well advised to be responsible and to show greatness of character. While it is understandable that a feeling of retribution might be tempted to rear its ugly head, this is not the way to move forward. If ghosting on a grand scale is a curse on the rise within the recruiting industry, it has a long tradition with Malaysian shop assistants and repairmen. How many times have we put down our contact information in a notebook when an item was out of stock at the pharmacy, the stationery shop, or the DIY store, only to never hear from them again? Ghosts. How many times have we sat at home in vain, waiting for the plumber, the electrician, the air conditioner maintenance man? Heavy traffic or rain in Cheras seems to be the go-to excuse there, but still, ghosts. Generally, traditions are well worth upholding, but the practice of ghosting is one without merit. For, with great ghosting comes great grievance.